Manchester United were unable to break the deadlock against Crystal Palace, with the final scoreline remaining 0-0 at Old Trafford on Saturday. On the plus side, the Theatre of Dreams was finally able to witness their first clean sheet of the season, although it goes without saying that Jose Mourinho will be thoroughly disappointed with the end result. The first half was an affair to forget, with Palace almost having scored, only to have their goal ruled offside. That was a woe that graced United as well, as Lukaku’s quick finish too, occurred from an offside position. Apart from that, the game really came alive in the final minutes, as both sides looked eager to give the crowd their all. In the midst of its dying minutes, the otherwise unremarkable fixture gave an interesting sight. 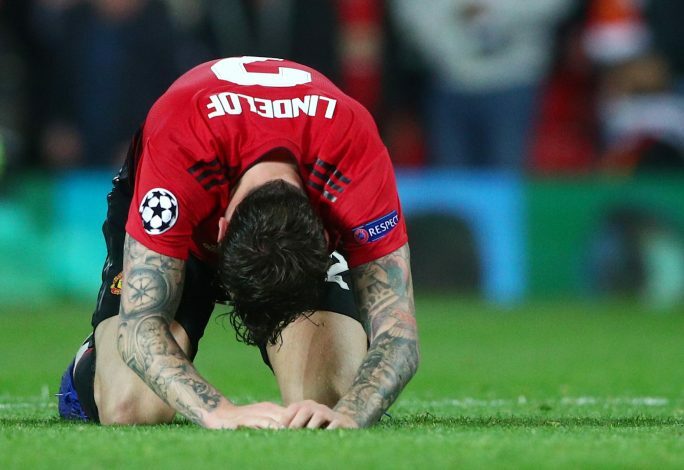 Well into the added minutes, United were going all in at trying to gain possession of the ball and muster in a shot in whatever way seemed possible. During this, Victor Lindelof seemed to have gotten hurt, but that didn’t stop the Swede from rushing back to defend the ball and taking on two Palace players all on his own. During the entire encounter, the defender kept clutching at his thigh, clearly in pain, but the passionate display that late into the game really won him brownie points with supporters. This is interesting when one considers the fact that Lindelof wasn’t the most beloved of players during his early days with the club. In fact, on many occasions, his individual mistakes and shortcomings had directly cost the club points, and his name was slowly becoming the punchline of yet another expensive joke. However, this season, he has settled into the role quite well. While there is no denying that his defensive showing is not up to par of what Mourinho would desire, he is currently the club’s best centre-back, and antics like the one against Palace prove precisely why.